In China, people send greetings by wishing a person 'a long and healthy life'. Our natural state is to be healthy and happy. This includes having a calm mind, a healthy body and emotional resourcefulness. 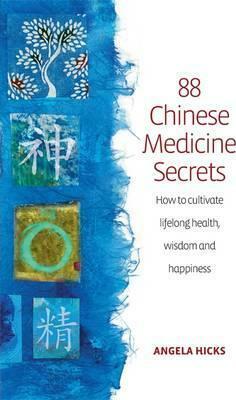 This book reveals the profound, yet simple health maintenance secrets that Chinese medicine has developed over many centuries. These secrets enable you to deal with stress and return to your natural balance. In this book, you will discover guidelines about many aspects of your lifestyle including: - understanding your own particular constitution - eating well for your own unique needs - being emotionally resilient and using setbacks to grow - finding the right balance between work, rest and exercise - recognizing how the environment affects us alL By practising these secrets you will learn how to recover the ability to nourish and protect your energy, overcome illness, and feel an easy joy in simply being alive. Author's note; Introduction; Chapter 1. You Can Be Really Well; You really can live longer! ; What's in this for me? ; An ounce of prevention is better than a pound of cure; Living a qi-enhancing lifestyle; The true 'pill' - lifestyle change; Listen to your body; What will be the benefits? ; How to read this book; Chapter 2. The Secret of Respecting Our Constitution; Our constitutional essence and long-term health; Secrets 1-9; 1. Conserve your constitutional essence; 2. Assessing your constitutional strength; 3. Accept your limits and live within their confines; 4. Important transformation times that can change your life; 5. 'Do the month' after pregnancy; 6. Looking after the affairs of the bedroom; 7. The male menopause is not what you think! ; 8. Strengthen your constitutional essence by breathing into the dantien; 9. Strengthen your constitutional essence by sensing into the dantien; Chapter 3. Dietary Secrets; Eat food as medicine; Secrets 10-31; 10. Balance the proportions of your food; 11. Rely on 'economical' foods in your daily diet; 12. Choose vegetables - full of rich, life-enhancing qi; 13. Avoid too much raw and cold food; 14. Don't overdose on 'rich' foods; 15. Know your phlegm and damp-forming food; 16. Lose weight effortlessly! ; 17. Be an 'almost' vegetarian; 18. If you are vegetarian - be a well-balanced one; 19. Take good-quality food; 20. Avoid 'spoiled' foods; 21. An enjoyable diet is the most nourishing; 22. Know the temperature of your food; 23. Not too hot or cold - keep it balanced; 24. Blend the tastes of your food; 25. Find tasty substitutes; 26. Eat regular meals; 27. Eat in the right conditions; 28. Try sprouting - nutritious food from tiny seedlings; 29. Know how and when to drink fluids; 30. Drink green tea or other healthy drinks; 31. Be alert for food sensitivities; Chapter 4. Secrets to Balance Our Emotions; Our emotions and our health; Secrets 32-46; 32. Emotions are a key to good health; 33. Anger makes qi rise; 34. Fear makes qi descend and worry knots the qi; 35. Grief and sadness dissolve qi; 36. Joy slows qi down; 37. Take pleasure from the world; 38. Know the importance of humour; 39. Gain perspective on your emotions; 40. Become present to your bodily 'felt sense'; 41. Learn from your difficulties; 42. Use talking therapy; 43. Use writing therapy; 44. The importance of positive goals; 45. Release your blocked feelings; 46. Get help when you need it; Chapter 5. Secrets of Balancing Work, Rest and Exercise; The balance of work, rest and exercise; Secrets 47-68; 47. Balance yin and yang in your work and rest; 48. Convalescence - the forgotten secret; 49. After a miscarriage, take time to rest; 50. The positive effects of fulfilling work; 51. Keep your life regular; 52. Points to relieve smoker's cravings; 53. Exercise while you work; 54. Walk your way to health; 55. Sleep - the best natural cure; 56. Sleep in a healthy posture; 57. Take a 'power' nap; 58. Make time for rest and relaxation; 59. Scan your body to relax; 60. Exercise can be 'internal' or 'external'; 61. Exercise according to your age, activity, build and constitution; 62. Know the 70% principle for all activity; 63. Find an exercise routine; 64. Find a regular practice space; 65. Exercise in the 'spirit' of qigong; 66. What you learn from a good teacher becomes yours for life; 67. A simple self-exercise more effective than massage; 68. Use Chinese metal balls as a simple longevity tool; Chapter 6. Secrets to Protect Ourselves from the Environment; How the weather affects our health; Secrets 69-78; 69. Take extra care when there's a cold snap; 70. Your pain might be caused by cold! ; 71. Cold can cause infertility and other lower-body symptoms; 72. A well-kept secret - the effects of 'wind'; 73. How to prevent colds, flu and other acute problems; 74. Tired all the time? 'Damp' could be the cause; 75. Protect yourself from the effects of damp; 76. Dryness - of course it dries you up! ; 77. Know how to beat the heat; 78. Flow with the seasons to stay healthy; Chapter 7. Secrets of Making Lifestyle Changes; Get ready to make lifestyle changes that stick! ; Secrets 79-88; 79. Four important stages of integrating lifestyle changes; 80. Find ways to become motivated; 81. Make your goals specific and achievable; 82. Allow yourself some imperfections; 83. Take teeny tiny steps; 84. Do what you find enjoyable; 85. Find healthy substitutes; 86. Change at your own speed; 87. See yourself changing your lifestyle; 88. Don't just read about it - use it! ; Chapter 8. Staying Healthy and Preventing Disease; - Anxiety and panic attacks; - Asthma; - Back pain; - Chronic fatigue syndrome; - Colds and flu; - Constipation; - Depression; - Diabetes; - Diarrhoea; - Headaches and migraines; - Hypertension; - Indigestion; - Insomnia; - Joint problems; - Menopausal hot flushes; - Period pains; - Premenstrual tension; - Skin conditions; Notes; Glossary; Reading list; Useful addresses; Index. Angela Hicks has been a practitioner of Chinese Medicine for over 30 years. She is an acupuncturist and herbalist, and practices qigong. She is Joint Principal of the College of Integrated Chinese Medicine in Reading, UK, and is the author of The Acupuncture Handbook and co-author of Five Element Constitutional Acupuncture and Healing Your Emotions.